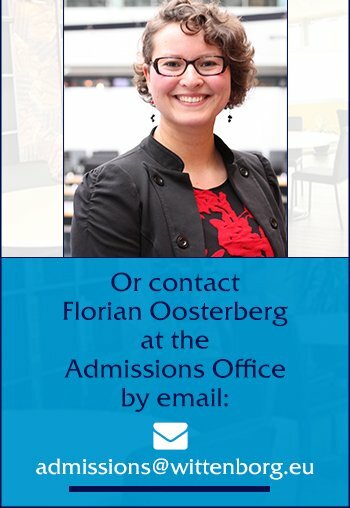 Wittenborg University of Applied Sciences offers undergraduate degree programmes in international business & hospitality, and postgraduate degree programmes in business and management, hospitality, tourism & events. Management is the common thread throughout its schools and programmes. 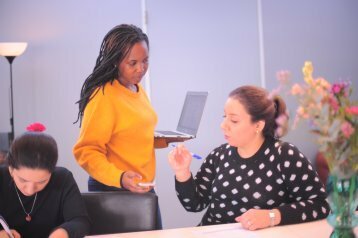 Wittenborg is offers its students a full timetable of taught modules in its bachelor in international business studies and its MBA programme, where lecturers combine theory with their own practical experience. All Wittenborg lecturers are professionals within the fields they teach, many of them still active in business, both in SMEs and in corporate organisations. They teach as part of their own contribution to the future continuity of successful business environments around the world. Wittenborg offers its programmes in different ways at different stages during the curriculum, offering students the chance to develop on an individual basis with their tutor, and also within groups during projects. Many specialised classes are small, many seminars and workshops in the final year attract a full seminar hall. Normal classes are small and participation is essential and required. Every student works closely with an Academic Tutor during their studies, and in the Final Phase (Work Placement and Graduation) the Tutor plays an important role in guiding the student towards graduation. In an intercultural business environment, language learning is essential and Wittenborg offers students at all levels English Language courses by experienced native speakers, leading to qualifications such as IELTS, TOEFL, Cambridge First Certificate. Other languages offered to both Business School students and companies include Chinese and Russian. A well-established University Preparation programme is offered to students who require English (IELTS) and foundation business subjects.